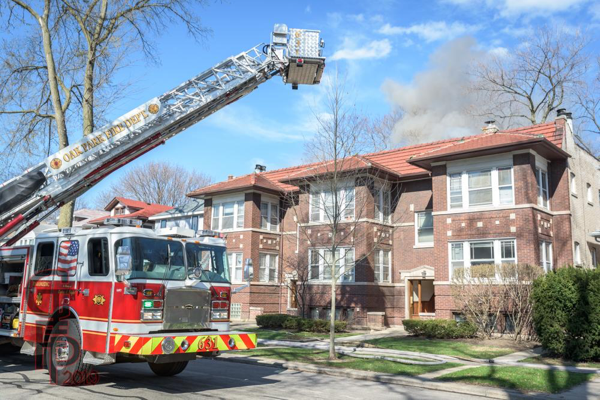 Saturday afternoon, Oak Park companies fought a tough fire @ 530 s Scoville in a two-story apartment building. 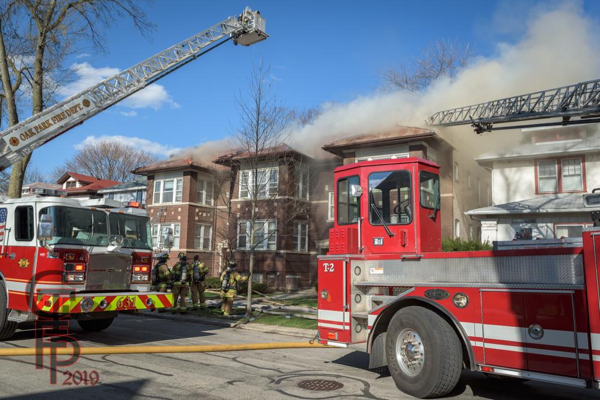 Numerous hose lines were dropped and two master streams were used to knock down this fire. 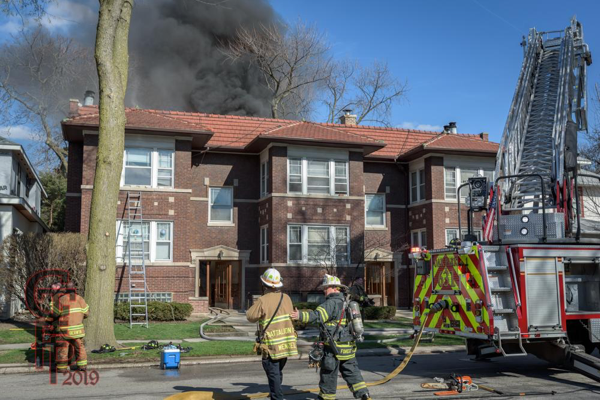 About two hours into this fire, there was another fire about three blocks away. 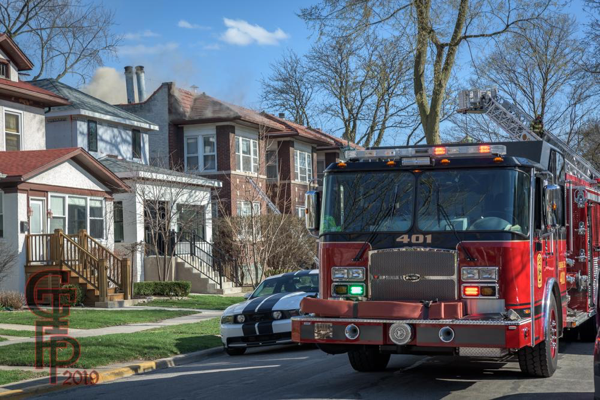 The first-in companies (Riverside engine, Brookfield engine, and Oak Brook ladder) arrived to find a three-story frame house, with the back end totally involved. 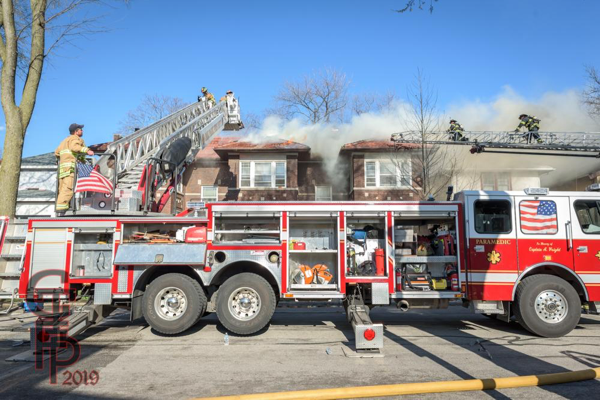 The area was taxed of all their resources which then brought a Task Force of Interdivisional companies to cover the towns while fighting these fires. 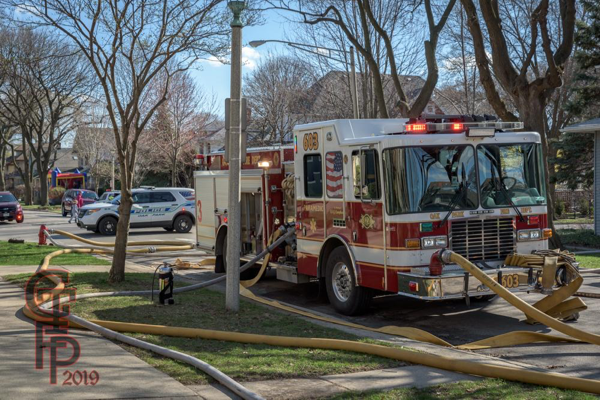 This entry was posted on April 14, 2019, 8:00 PM and is filed under Apparatus on-scene, Fire Scene photos. You can follow any responses to this entry through RSS 2.0. You can leave a response, or trackback from your own site. 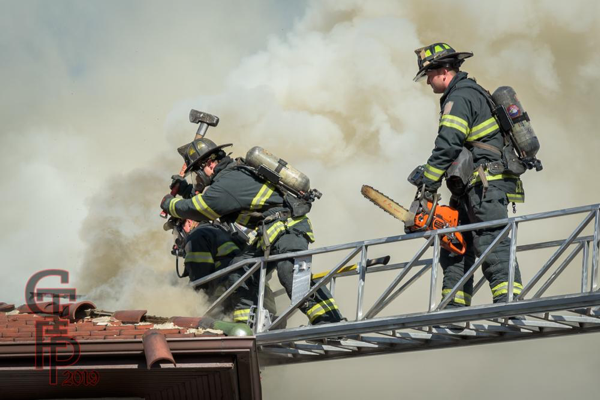 Great to see the Firefighters wearing their SCBA while opening the roof. (See it CAN be done!) If our Cancer prevention efforts are going to be more than just talk, we need to see more of that. Nice work guys! A 3rd master stream was used in the rear also. 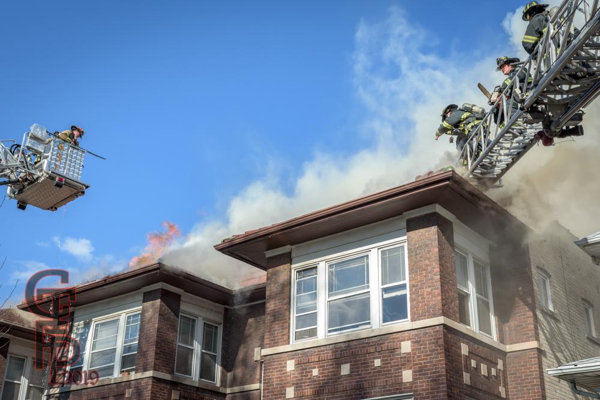 From what I read,the guys on the Oak Park tower saw the other fire from the basket and reported it.